We don’t laugh when we cover the draft! We give serious Cowboys hot sports opinions on every player Jerry, Stephen, Jason and the Cowboys brass takes from the war room—even when they don’t have a first rounder! Plus our Ticket Draft Experts analyze every player taken and trade made over the entire course of the draft—and that ain’t no laughing matter! NOBODY goes wall to wall on the NFL Draft like the Ticket does. 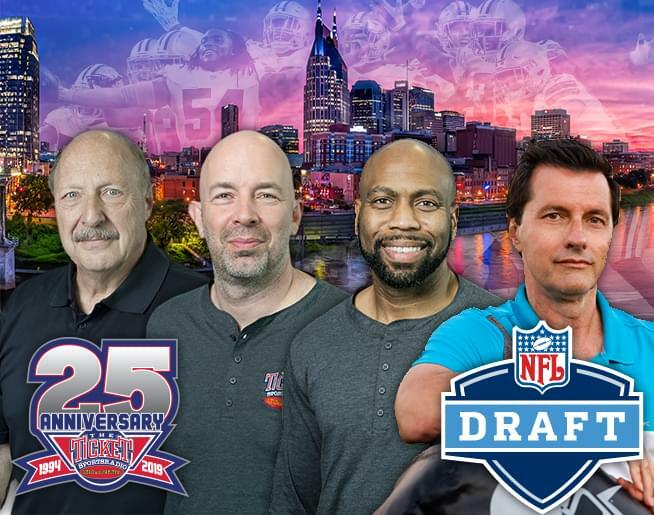 Norm Hitzges and Donovan Lewis are live from NFL Draft HQ in Nashville. Bob Sturm, Corby Davidson and David Newbury are live inside the Ticket’s draft war room at the Mothership and David Moore plants our draft flag at the Star in Frisco.